Prof. Dr. Christian Ramsauer (l.) with Prof. Dr. Cornelius Herstatt (r). Photo: IIM. Prof. Dr. Cornelius Herstatt was invited to deliver a guest lecture on the theme of frugal innovation at the Institute of Innovation and Industrial Management (IIM) of TU Graz (Graz University of Technology). He was hosted by Prof. Dr. Christian Ramsauer, director of IIM. The audience was an interdisciplinary group of Master students from various faculties. Prof. Herstatt spoke about the increasingly-apparent global need for frugal innovations in both developing and the industrialized world. Furthermore, he showcased an example about how frugal innovation projects can be technologically and organizationally implemented in a multinational company in the settings of economically-developed nations. The results were based on a recent project of CFI with a large international manufacturer of machine and tools industry. This was the second time Prof. Herstatt visited TU Graz to speak on frugal innovations. 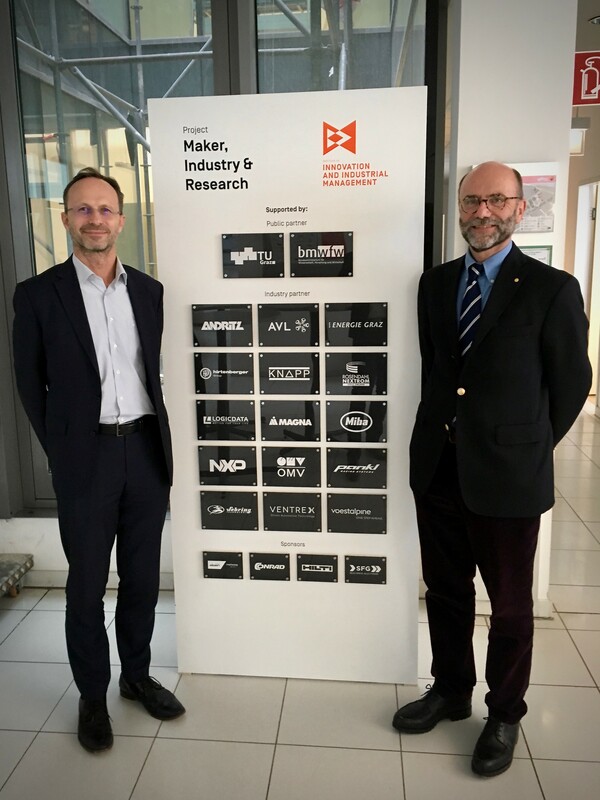 There is a growing interest of the Austrian industry in this topic and both institutes (CFI@TIM/TUHH and IIM@TU Graz) intend to collaborate in research, teaching and advising companies. 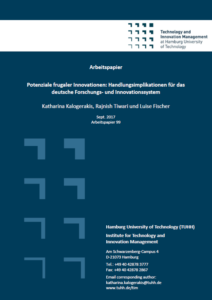 CFI has initiated a project to investigate the potential relevance of frugal innovations for Austria in cooperation with the Austrian Council for Research and Technology Development. The project seeks to examine the potential relevance of innovative products, services, processes and technologies aimed at achieving “affordable excellence” for Austrian enterprises in the backdrop of shifting centers of economic growth, changes in consumer behavior, global societal challenges and last-but-not-least the increasing resource-constraints. Frugal innovation in the context of developed ecomomies has witnessed increasing interest in recent years. For Western multinational companies (MNCs) emerging markets represent promising opportunities for growth as well as the threat of new local competitors. Furthermore, economic developments drive the demand for frugal products within Western countries. Succesfully mastering this challenge means that Western MNCs have to challenge prevailing paradigms within their organizations. Literature suggests that these companies have to develop a frugal mindset to succeed in frugal innovation. However, to the best of our knowledge no publication addresses the phenomenon on an empirical basis or provides enough detail for further empirical investigation. To address this gap, we conducted a systematic literature review of 80 publications in the frugal innovation field.